A 19-YEAR-OLD national title holding surf life saver has died after being hit by his own ski while competing in rough conditions off the Gold Coast. 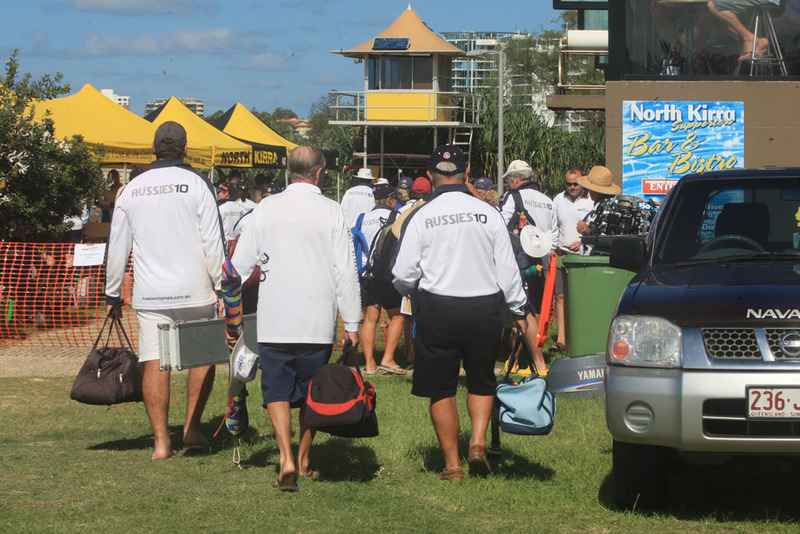 Organisers deemed conditions at Kurrawa safe enough to go ahead with the event on Friday, despite two people being injured in rough conditions at the surf carnival this week. At 3pm, Surf Life Saving Australia held a press conference to confirm the tragic death. "The Surf Life Saving community is grieving the loss of one it’s rising stars who started with the Association as an eight year old nipper. "The Surf Life Saving community is deeply affected and our thoughts are with the family, friends and club mates." Bird was a member of the NSW surf life saving high performance team and has taken a number of national titles over the past four years. Robert Gatenby, 15, a member of Kurrawa’s under-18 boat crew, drowned at the 1996 nationals at the same beach, as Cyclone Beti ravaged the Queensland coast. For Sunshine Coast competitor Darren Mercer it was the worst kind of deja vu imaginable. The multiple Australian ironman champion was on the starting line for the open ironman at the 1996 national titles, also at Kurrawa, when word spread that a Gold Coast teenager had passed away following a mishap competing in a surfboat event. “I was on the line when Robert Gatenby died, and they cancelled the rest of the day,” Mercer said. “Obviously the conditions we’re copping here are pretty severe and it’s an absolute tragedy, but we’re all still in the dark as to what’s happening. “It’s just one of those things. All surf lifesavers are capable of assessing whether they are capable of competing in." Do you think they should have been competing? Leave your thoughts below. Should the Aussie titles have continued? This poll ended on 27 March 2010. Yes but they should have moved the event to a safer beach.